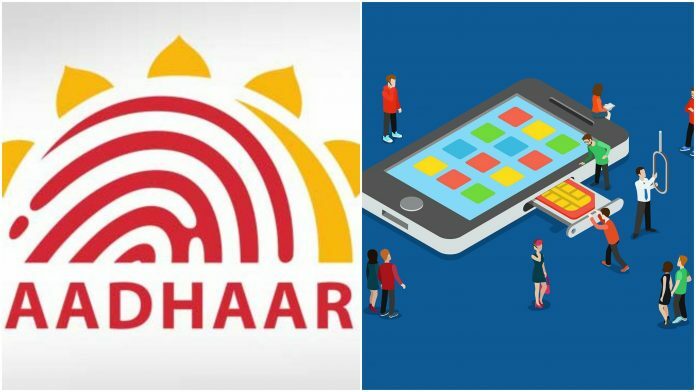 Are you the one who haven’t linked your Mobile Number with Aadhaar Card? Here comes the good news, that it is not mandatory for any customer to visit retail outlets of telecom operators to link your mobile number with Aadhaar. Mobile subscribers can now sit at home and link mobile number with Aadhaar Card from 1st January 2018. They can link using a voice guided system through a one-time password (OTP). With this implementation, it is not necessary for the consumers to visit nearest company outlet to link their Mobile Number with Aadhaar. People can show MAadhaar app as an Identity Proof. OTP based Aadhaar re-verification process was in the news from October, and the process has been delaying due to technical issues and logistics from telecom operator’s side. But now they are ready with the infrastructure and informed the government that any mobile subscriber can link their SIM with Aadhaar using single OTP. More than 50 crore mobile subscribers are yet to confirm their numbers; you can verify your Mobile Numbers till the first week of February. If you fail to verify your number, then your connection may be disconnected.